Nursing home abuse is unfortunately one of the least reported crimes. Many nursing homes are grossly understaffed as big corporations cut costs to make a buck. Reduced staffs are being expected to maintain the same workload, which means more of our elderly are being neglected every day. The safety of your loved one should not be put at risk due to corporate greed. Nursing homes and care homes are places to receive care, not abuse. Victims of nursing home abuse are entitled to financial compensation from individuals or groups (corporations) that cause them harm. This includes a staff member or relative using scare tactics or intimidation to take advantage of Power of Attorney privilege. We believe victims deserve compensation for what they’ve been put through and we will not back down from a fight. 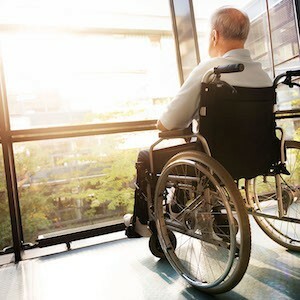 Why Should You Hire an Injury Attorney for Nursing Home Abuse? If you or someone you know is a victim of nursing home abuse, please realize that you are not alone. Current estimates state that over 240,000 cases of nursing home abuse or elder neglect happen each year in the U.S. Many of these situations happen in facilities intended to provide care and medical attention. Anyone in this horrible situation deserves a lawyer they can trust to protect their rights – that’s why we are here. Our law office offers legal counsel on a contingency basis. By that, we mean we don’t get paid until you recover damages. We explain everything in great detail so that you understand every facet of your case. If your mobility is compromised, we will visit you in your home or hospital. We are committed to our elderly clients, so we will use every aspect of the law to protect their rights. Contact Tapalian Law to discuss the merits of your nursing home abuse case today. We offer a free consultation about your legal rights. You have no obligation to hire our law firm, we just want you to make an informed decision about your situation moving forward. Contact us for your free consultation today. Our law firm has extensive contacts in the medical community to assist our clients in documenting the seriousness of the injuries resulting from the slightest abuse. Even the simplest abuse or neglect claim can become complicated quickly. Rather than make a mistake that could hurt your chance at recovering compensation, put our experience to work for you.